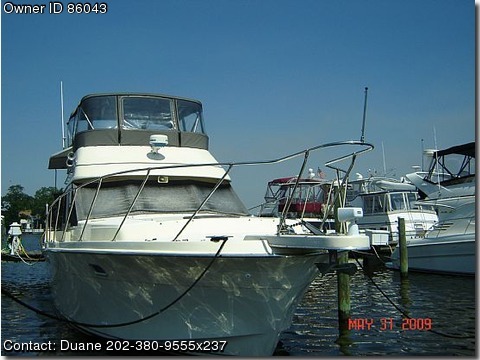 This boat was custom built for the 1st owner with many upgrades. The 2nd owner did a complete conversion to diesel in 2001 – Cummins engines, Onan genset, new tanks, new electronics, new furniture, re gelcoated the hull, and refinished all interior wood. This is a very comfortable boat as a cruiser and/or live aboard. Fuel consumption at 22 MPH is 17 gallons/hour total.